What is success to you? Do you find it through love, social interaction, or money? Everyone has his or her own definition, but for Sandi Jones success means helping others reach their goals. 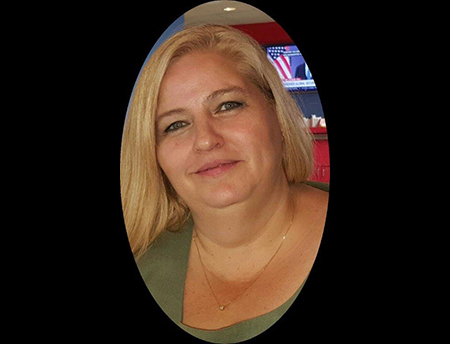 Sandi joined TransAm Trucking almost seven years ago and works out of our Rockwall, Texas terminal. As a Human Resources Compliance Processor, Sandi helps with orientation and assists other departments in various aspects. “I really enjoy helping my co-workers in any way I can. We have a very small team in Texas and I feel like they are part of my family,” Sandi said. TransAm did not always have a terminal in Texas. In March of 2005, TransAm purchased James Helwig & Sons, which was located in Rockwall, Texas, and allowed TransAm to expand its fleet to over 800 trucks at the time. Sandi not only assists the office staff, she also engages with the drivers to ensure they know how much TransAm appreciates them. “I know that it has to be rough on our drivers being out there away from their families, so I try showing them as much compassion as I can and help guide them in the right direction,” Sandi said. We talk about our noble purpose, but Sandi brings it to life. Her compassion in the workplace has spread among the rest of TransAm. As we all strive to gain our own version of success, we sometimes forget that success is ongoing. With Sandi Jones, there is no endgame for her success. It is a constant endeavor to help others. Thank you Sandi, for being a noble member of our team and sharing your zeal with those around you.